Can you help me to install appium in the mac for testing on the real devices(iPhones/ iPad). I tried already set up appium, but every time i had problems with inspector and doctor. If you know how to tune up XcodeVersion 8.2.1 and appiumVersion 1.5.3 (Ara), please let me know by reply to this topic or send to me mail: [email protected](my name is Dmitry). This is an unsupported configuration and will never work. You need Appium 1.6 to work with Xcode 8. Can you help me install appium 1.6? 1.You need to install node on your machine.Please refer below link to download. 2.Once installed then run below command to verify it. Sign the WebDriverLib & the WebDriverAgent. The command needs to be run twice- the first will failed, but will install the WebDriverAgen app, then you will need to trust in under the device management & then run it again & it will finish successfully. on Xcode only swift? What instrument you using for write code for appium on mac? I see below error in the terminal while running the below command build command. please help. 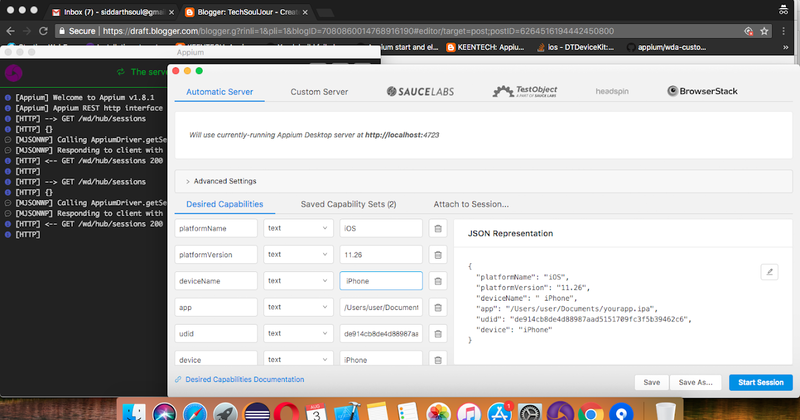 Here I have displayed the procedure for the complete installation of Appium in mac for real device iOS automation in My own blog. 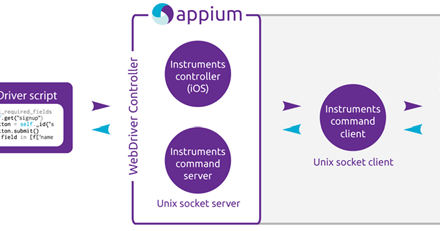 I have given the steps for Command line tool installation and GUI installation of appium in mac in my blog.